This book is an amalgamation of several other websites, newspaper columns, etc. The nice thing is it puts all the tips in one place. 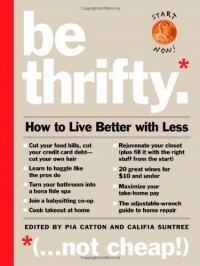 Thrifty meals, thrifty beauty tips, recipes, etc.